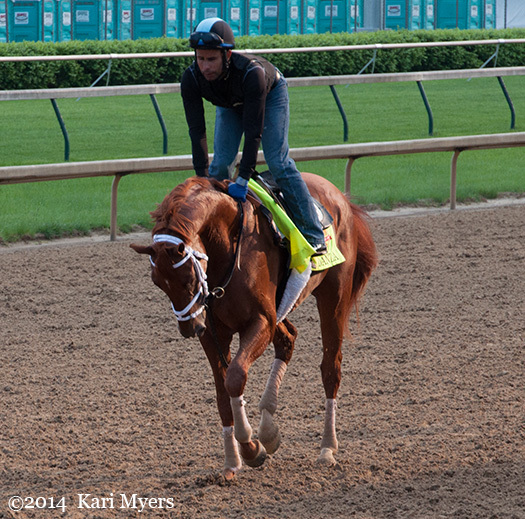 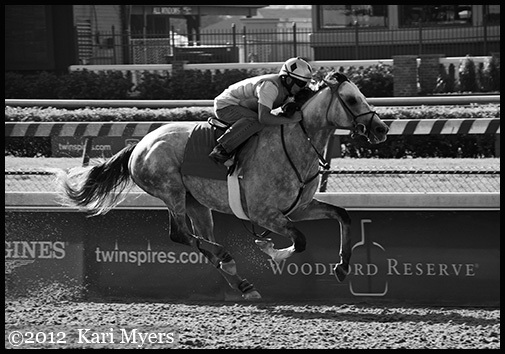 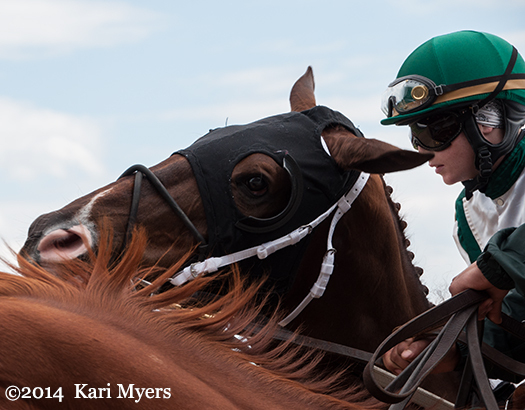 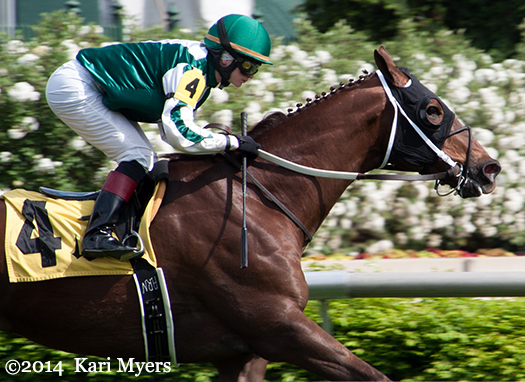 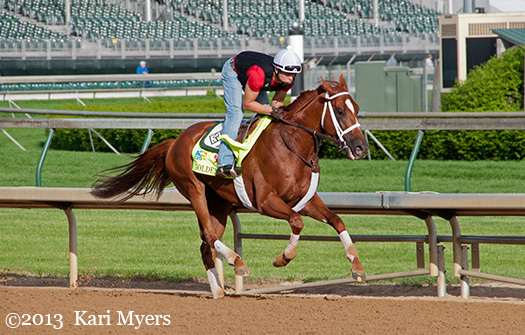 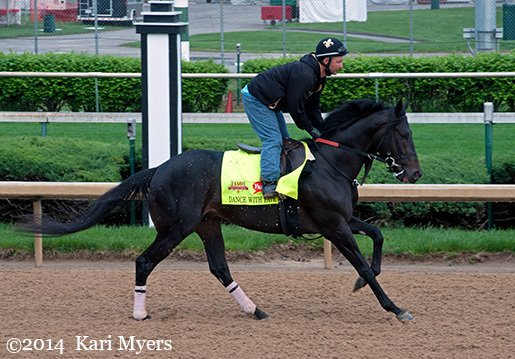 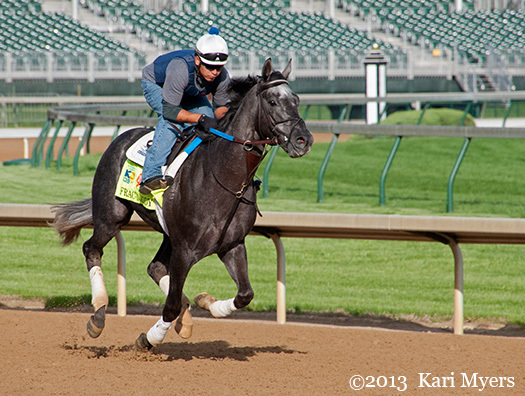 May 1, 2014: Regally Ready cruising to a nice win in an allowance optional claiming race at Churchill Downs. 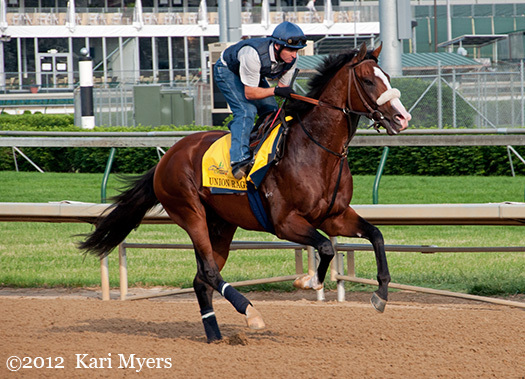 Regally Ready (More Than Ready x Kivi) is seven years old this year, and while he may no longer be a Grade 1 caliber horse, he’s done rather well with a slight step down in class. 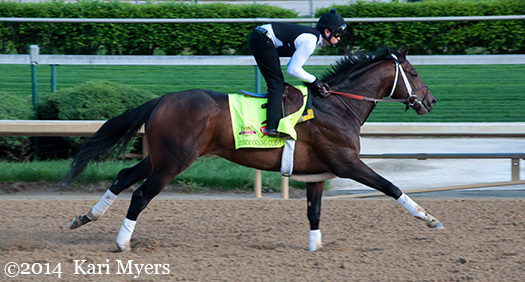 He’s made eight well-spaced starts so far in 2014 for Steve Asmussen, with three stakes wins and a third-place finish in the Grade 2 Arcadia. 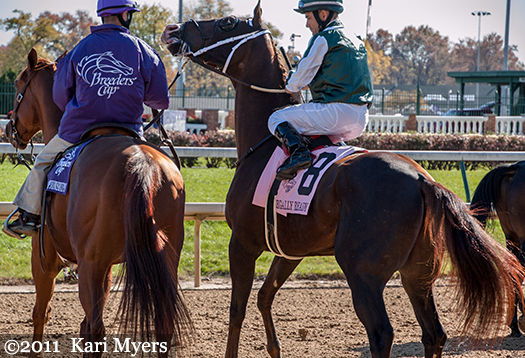 He has five wins overall on the year, one of which was an allowance optional claiming race that I was able to catch in person at Churchill Downs. 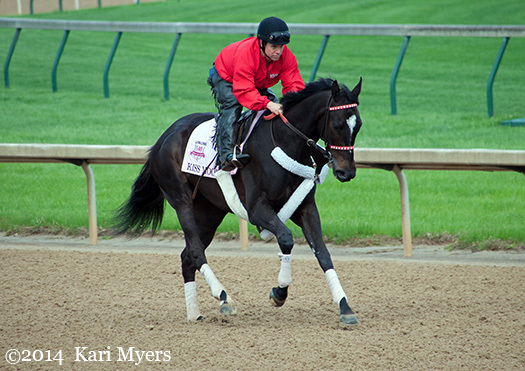 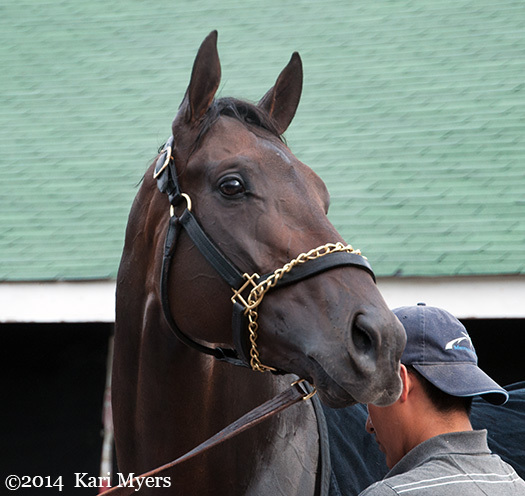 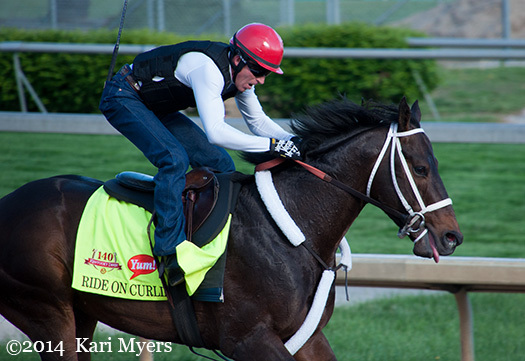 I’ve seen him race at that particular track a few times, including when he won the 2011 Breeders’ Cup Turf Sprint. 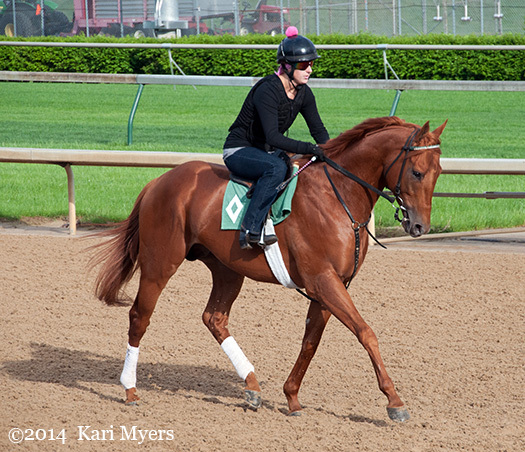 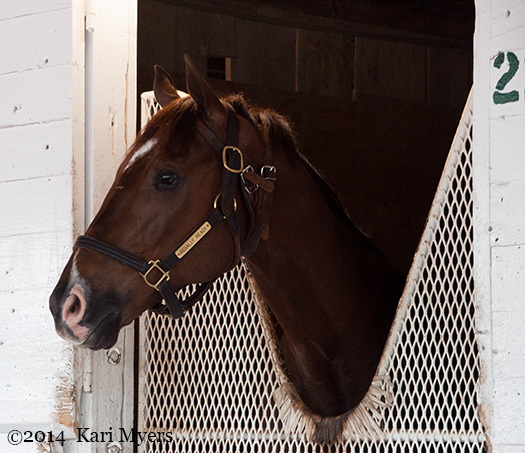 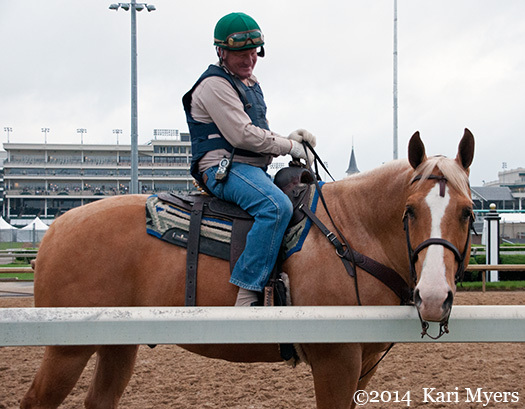 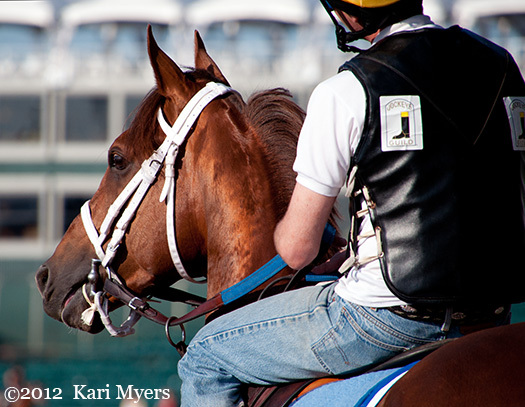 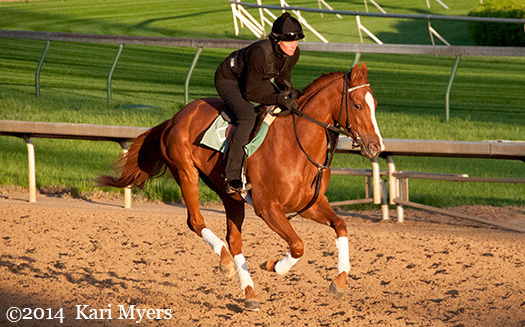 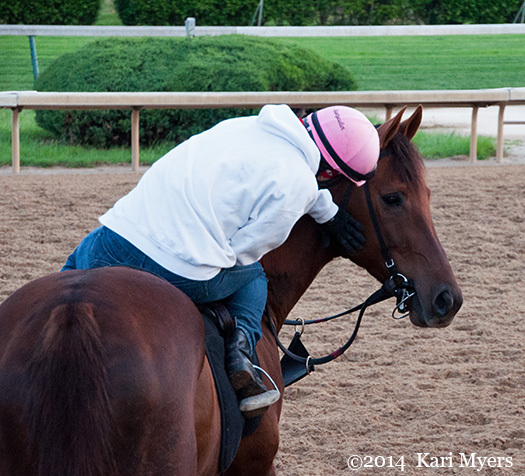 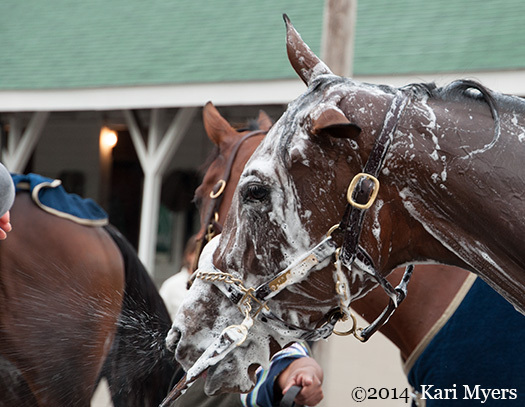 May 1, 2014: Regally Ready and Rosie Napravnik are ready to go! 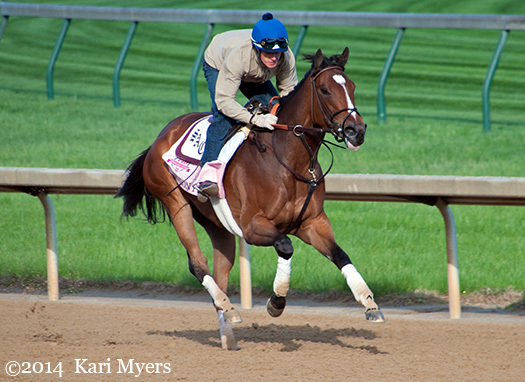 Nov 5, 2011: Regally Ready was on his toes on the way to the gate for his win in the Breeders’ Cup Turf Sprint at Churchill Downs.